About the book: A mysterious outsider casts a long shadow on Ohio's Amish country. Policewoman Rachel Troyer has always looked after her three elderly Amish aunts, proprietors of a farmhouse inn near Sugarcreek, Ohio. The idyllic town is popular with tourists, who come to sample its famous Amish goods. But one thing is clear to Rachel—Joe Matthews is no tourist. When the bearded stranger lands on her aunts' doorstep, begging shelter for himself and his young son, Rachel is suspicious. Will she be able to uncover Joe's secrets despite her aunts'—and her own—growing affection for him? My take: Love Finds You in Sugarcreek, Ohio is an amalgamation of genres—Amish, romance, suspense, and mystery—that combine into a novel that's much better than I anticipated. Really, I don't know why I'm surprised, as I've enjoyed the other novels that I've read in the "Love Finds You" line. Still, I'm pretty tired of the Amish genre (with a few notable exceptions), so I wasn't sure I'd enjoy this novel. However, in Sugarcreek, the main characters are not Amish, no one decided to become Amish, and no one contemplated leaving the Amish—which shows you this isn't your typical Amish novel! The plot is intriguing, and Miller throws in several plot twists that I didn't anticipate at all—especially as the novel neared the conclusion. Rachel and Joe are both compelling characters, and Rachel's aunts—especially Anna—are quite endearing. I really loved almost everything about the novel. The only thing I didn't care for was the Stephanie character. She's a pregnant teen who really seemed to be included solely to contribute to a major plot point. Neither her entrance nor exit struck me as particularly realistic, and I wish either she had played a more major role in the novel or she hadn't been included at all. 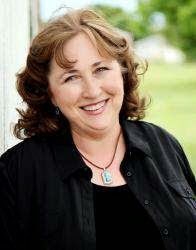 Overall, Love Finds You in Sugarcreek, Ohio is a great novel. It's mysterious, romantic, and thought provoking. I definitely recommend it! I also recommend the movie based on the novel. Though I haven't seen it yet (and probably won't for some time, as it's airing on Up TV, a channel I don't get), it sure looks good! Plus, it stars Tom Everett Scott ("Shades" on That Thing You Do) and Sarah Lancaster (Rachel on Saved by the Bell: The New Class)—two throwbacks to my teen years! Check out the trailer below, and if you happen to get Up TV, be sure to tune in on June 1. Read my reviews of other "Love Finds You" books: Mackinac Island, Michigan by Melanie Dobson and Glacier Bay, Alaska by Tricia Goyer & Ocieanna Fleiss. About the author: Prior to writing novels, Serena Miller wrote for many periodicals, including Woman's World, Guideposts, Billy Graham's Decision Magazine, Reader's Digest, Focus on the Family, Christian Woman, and The Detroit Free Press Magazine. 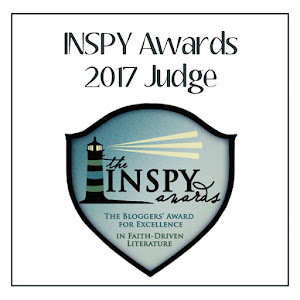 She has spent many years partnering with her husband in full-time ministry and lives on a farm in southern Ohio near a thriving Amish community. Learn more about Serena at http://serenabmiller.com. For those who are not familiar with the Love Finds You™ series, this will be a great opportunity to introduce them to these uplifting and engaging romances. 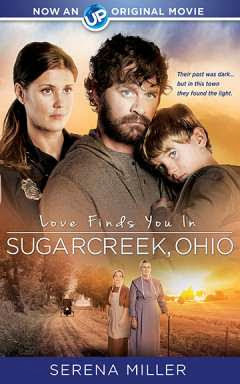 Love Finds You in Sugarcreek, Ohio is one of more than 50 releases in the popular Love Finds You™ series uniquely titled after actual American towns with unusual but intriguing names and combines travel, romance and faith in one package. The series includes both historical and contemporary releases, and each fictional story draws on compelling history or the unique character of a real place. Stories center on romances kindled in small towns, old loves lost and found again on the high plains, and new loves discovered at exciting vacation getaways. Mission Pictures has purchased the movie rights to the entire series and plans to produce additional films based on the series in the future. Disclosure of Material Connection: I received this book free from Litfuse Publicity Group. I was not required to write a positive review. The opinions I have expressed are my own. Also, some of the links in the post above are “affiliate links.” This means if you click on the link and purchase the item, I will receive an affiliate commission. I am disclosing this in accordance with the Federal Trade Commission's 16 CFR, Part 255: "Guides Concerning the Use of Endorsements and Testimonials in Advertising."